One may wonder what can be better than lying on the sandy beach in Ouranoupolis, Halkidiki, staring at the crystal clear waters for hours! 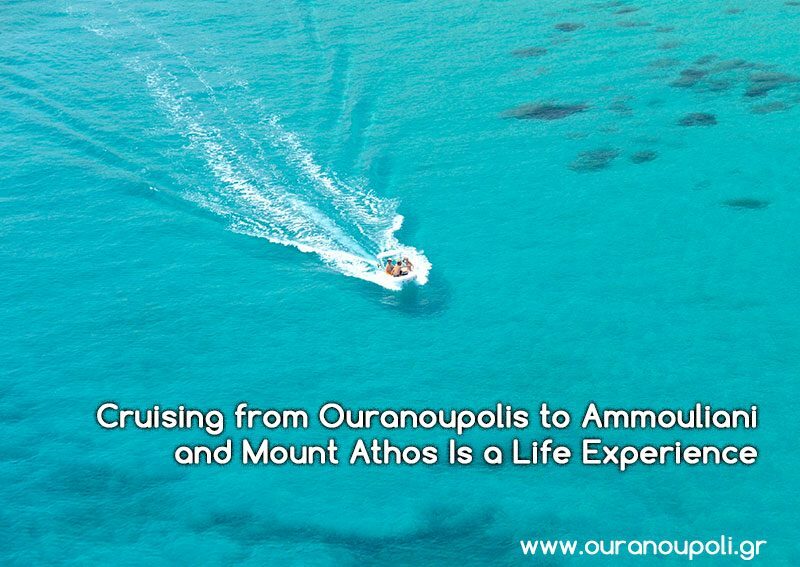 But booking a cruise boat to visit Mount Athos and the Ammouliani islands will enhance your summer vacation experience. If you are fascinated by the Ouranoupoli beach, wait till you set foot on Ammouliani. If the romantic sunset, the sea sports, and the excellent food have stolen your heart, you’ll be in awe of the monasteries in Mount Athos. Ready to hop on board? Get ready for a lifetime experience. 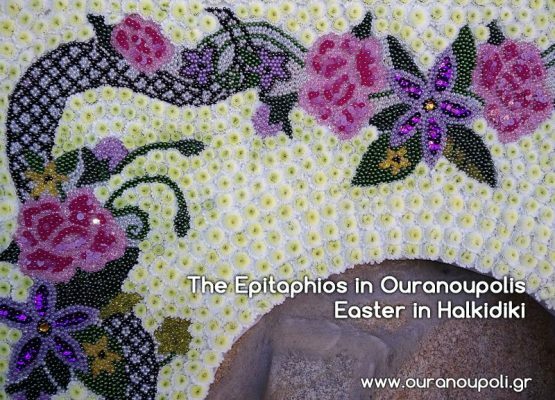 The close proximity to Ouranoupolis makes Mount Athos a perfect destination during your summer vacations in this peninsula in Halkidiki. A cruise to Mount Athos is as close as you can get to the monasteries of Panteleimon, Xenophontos, Dochiariou, and more. 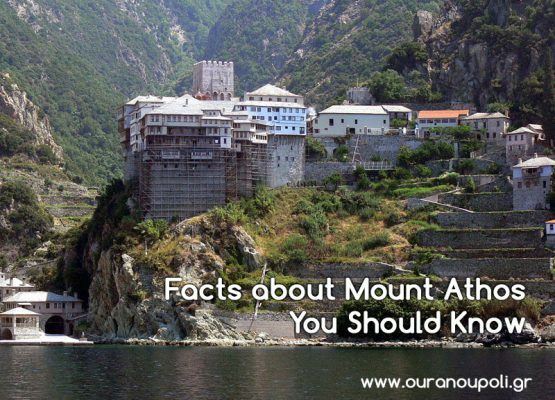 That’s if you don’t have time to take a trip there or you are a woman – in which case, the only way to see Mount Athos is from the sea since females are not allowed to enter the holy region. Although you can learn a lot about ascetic life, it’s the scenery that will actually capture your heart. Since no human invasion has ruined the natural beauty of this land, the setting is beyond compare. 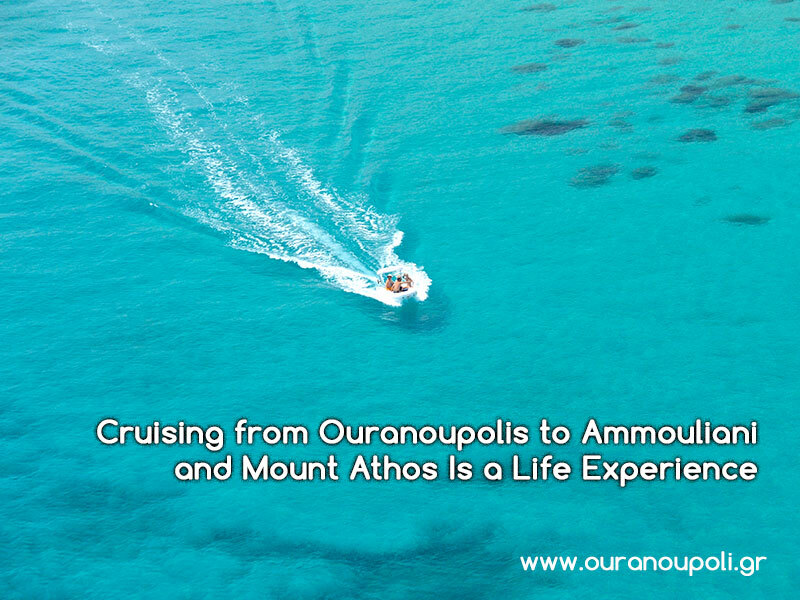 You need no excuse to get on a cruise boat to Ammouliani. This is a small island across Tripiti beach. Karagatsi and Alikes are the two most popular beaches while the 6 Drenia islets are heaven on earth. The waters whose colors change from turquoise to cobalt depending on the sun angle are good enough reasons to enchant and lure you to the point that you will want to return to this paradise again and again. Whose vacations wouldn’t turn from average to extraordinary with such settings?